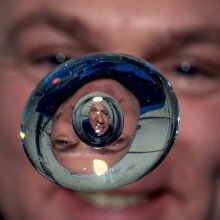 Can astronauts shower in space? 01:09 - Could humanity colonise Mars? We put this question to Richard Hollingham, and he had this to say: Richard - Yes, is the short answer. Kat - Yay! Let's all go. Chris - One of the barriers must be about 237 million kilometres. Richard - Yeah, 225 million kilometres away average. Chris - Yes, it's even closer sometimes. Richard - Yeah, it is closer sometimes. So, there are lots of things you have to do and the technology is there to do the things to get there at least. We would probably want to assemble a spacecraft in orbit. There's no spacecraft currently capable of getting there. They need to fly to Mars. That's going to take at least 6 months, if you time everything right. You will need a spacecraft you can move around in and you can exercise in because it would be quite funny in a way if they land on Mars, they get out and they all fall over because they can't walk anymore, because their bones are not strong enough. So, you get there and you land. That's all doable. That's been done with the robots. Kat - That's just an engineering problem. Richard - That's an engineering problem. We can do that. It's been a bit hit and miss, but the last few missions have all been successful - we have got to Mars. Survival is an interesting one. Now, you could survive in the same way that astronauts survive on the International Space Station. Kat - So just like in a pod and just kind of staying in there? Richard - Yeah, you could be in a fairly large-ish area. You could maybe have an inflatable base or something like that, and rely on constant supplies from Earth. So, every few months, send another rocket off, it lands, they've got supplies for another few months. They could try growing things, so hydroponics or maybe even use Martian soil to grow things. In theory, that works. It's a bit hit and miss. Things have been grown but in the Earth's atmosphere very successfully in Antarctica. You can create an artificial soil. They know that works. Space station experiments have been a bit hit and miss. The Mars Society have a base in Utah and they've been doing a lot of this stuff. You ask them about whether the food was edible, they said they "grew a lot of interesting things but none of them were edible". So, that's an issue. So, you can get there, you can probably survive I would say, and actually, in a few more years, we'll probably be there. The big issue is coming back, because NASA have not yet managed to even get a canister-sized, a coffee cup-sized, capsule of Martian material back to Earth successfully. Kat - I'm getting the feeling this would be a one-way trip. Richard - Well, that's what Mars One are proposing, the Dutch organisation. Their funding is a little up in the air at the moment, but they're serious people and that's what they propose - a one way trip to Mars. So, you go to Mars, live out the rest of your life and you die. Chris - The radiation's a big issue though, isn't it? Because we saw on the Curiosity Mission they actually used the radiation sensor on the Curiosity rover during its 9-month trip to Mars. It logged a radiation dose of about 2/3 of what NASA considered to be safe lifetime working dose of radiation just on that one journey. And then there was another paper out just recently, Charles Limoli from the States published his paper, where they exposed mice to the sorts of high energy cosmic particles that you would encounter in space once you escape from the Earth's protective envelope of our magnetic field. These mice all got changes in their brains. It looked like someone had come along and sort of pruned the hedge because all of the nerve cells had fewer connections. Kat - As a geneticist, I find this interesting because if the idea is, you'd send people to Mars and they would get busy and make new people on Mars. If they've actually been exposed to a lot of radiation, that could make some fundamental changes in the DNA of their eggs and sperm, and then maybe sort of super evolution. Very interesting things to think about! Chris - Yeah, because otherwise you're recreating the Egyptian dynasty, aren't you, sort of when brothers and sisters married each other. Richard - Exactly, you've got problems to start with. Once you're on Mars, a lot of the concept bases are actually underground. So, they eliminate the problems of radiation on Mars. I think the problem of getting to Mars, that's probably surmountable. They're looking at new shielding techniques, probably using water, something like that within the spacecraft. So, that's probably okay. I mean, my fundamental problem with this, why would you want to go to Mars?! Mars is bleak, cold, barren. You can't even. Kat - I mean, you could just go to Newmarket. Richard - It's a horrible, horrible place. I wouldn't recommend it. Of places to go, I don't think it's a very interesting place. I think what will be more interesting is some sort of colony in space. Chris - But to be fair, when the first settlers arrived in Australia and landed in what is now Sydney, they said, "This is a horrible place. We don't want to be here." Now, it's one of the world's most beautiful cities. Richard - Yes, because there's air to breathe. 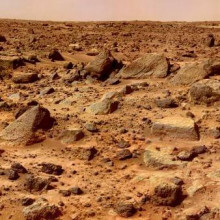 Chris - Just think about what Mars could be. Richard - Even Chris, even in Australia there is air to breathe! There is not air to breathe on Mars. Kat - Leaving that there with us, I'm sure there's so much we could talk about. Chris - There's a missed joke opportunity there because of course, they were going to make a nightclub on the moon but then someone said no atmosphere! 06:38 - Why are some people better multitaskers? Chris - Can anyone else do this? I've just failed dismally. Kat - I can't do this. I'm trying and my hands just go the same way. Richard - I'm just trying to do it. Kat - Let's see if Max has got anything else because you're a neuroscience kind of guy. What do you reckon is going on here, Max? Max - Even though I'm a neuroscience kind of guy, I definitely can't do it. So, put that out there. This is one of the oldest of neuroscience party tricks in the book. Not that I have been to a neuroscience party but I'm sure they're great fun. It's a sort of very basic neuro-anatomical aspects of the brain that's been exploited and it's the fact that we have these two hemispheres, left and right. The motor cortex which sort of allows for the execution of these kind of movements is privvy to this split. So, as most people know, the right side controls the left side of the body and the left side of the brain controls muscles on the right side. This is why if you tried it with opposing hands and feet, it should work. 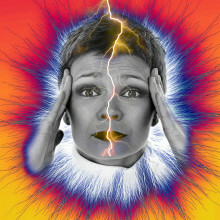 The reason why this happens is because the sort of regions within your motor cortex that control your hand and foot is conflicting orders and because it's the same side of the motor cortex, these orders are coming out from sort of going to proverbial battle with the hands usually, winning over. 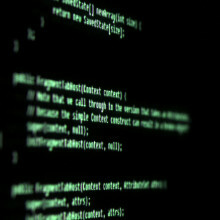 But the interesting part I think comes I why we may be programmed and it's sort of an evolutionary thing. The theory is that when we're sort of on all four limbs, you'd need a coordination between your left hand and your left foot. Kat - You want your hands and feet going in the same direction. Max - Exactly. So, it's a coordinated movement. And so, this is sort of an anti-coordination. And so, most people aren't so programmed for that anti-coordination. Kat - But Belinda says that she could do it quite easily. Is she just kind of some freak? Max - No. I think she asked them - probably, the question was, is this bad and no, Belinda. This isn't bad. She's not alone. There are a small cohort of people who also share her ability. In fact, there's sort of a spectrum of people. So, some people would be better at it than others, some people will need less training to sort of get the hang of it. Chris - So, it is the key isn't it Max because you've just said the T word - training - because we can do almost anything if we train hard enough. Because someone asked me the other day, "How was it that when I broke my right hand and I had to write with my left, I could do it after a while." They were almost surprised that they could nonetheless learn to write with their left hand. Max - Exactly and it all pointed out how sort of plastic - that's what neuroscience people call the brain. There's a lot of plasticity. It can be rewired and restructured. Belinda's brain, whilst we don't have a sort of MRI scanner that can tell us exactly what it is that's different, for some reason, her motor cortex, there's anti-coordination either innately or through training is fine to happen. And so, I think that's it really. Her brain sort of allows this anti-coordination and I think if people did train, people would be surprised at how quickly they could "rewire their brain" as they say. Kat - Well nice work, Belinda! 10:02 - Can we modify cows to make ivory? 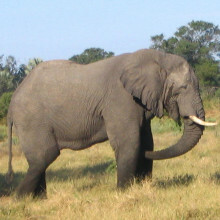 Can we modify cows to make ivory? Kat - I love this idea. I think this is such a great idea. Unfortunately, it's not going to work because the problem is, is that the substance that makes ivory is basically teeth - same thing as your teeth. It's teeth and tusks, they're dentine covered with this hard, white enamel. So, in terms of the development of where the teeth come from and where ivory tusks come from, it's all kind of part of the toothy stuff but cow horns are actually made of living bone, covered with a really thick layer of keratin. It's the same protein that's in your skin, your hair, your nails, that kind of thing. and so, they have a completely different developmental origin. They're growing out of the skull. So, to actually switch cow horns into making ivory, you're asking bones to turn into teeth and grow in a completely wrong place because cow's teeth obviously grow in their mouths, not out of the top of their heads. So although it's a lovely idea, I don't think that's going to work. Do planes need better cyber security? Chris Smith explains how ethical hacker Chris Roberts hacked an aeroplane engine using nothing but his laptop... and how your dinner might be spoiled by hackers! Chris - Something that's doing the rounds is this whole idea about people hacking into aeroplane computer systems and taking control of aeroplanes while they're up in the air. And there's a gentleman who's an ethical hacker. He's called Chris Roberts. He actually founded something called One World Labs. It's a Colorado based organisation and what he basically does is hacks into things or he and his organisation hack into systems and expose vulnerabilities and then they tell people, "This is where you have a vulnerability, you should do something about it." Anyway, he's had a bit of a run in with the FBI over in the states because he apparently was on an aeroplane in April and he tampered with the inflight system, the entertainment system and was caught subsequently apparently having done this allegation. I don't know if they can prove it yet, but they've said, certainly, the seat he sat in and had the inflight entertainment system having been tampered with and what they found is that or he has told the FBI he has managed to connect to the inflight entertainment system using his laptop, override the security on that, get into the main plane control system. And then to prove his point, actually got into the engine management system and issued a climb command to the engine, making the aeroplane change course. He says, he only did it for a little while, but it was enough to put the aeroplane into a slightly different trajectory than it would've been. He said, "I've told them about this on a number of occasions and actually, nothing has yet been done." But they've now basically had him in for questioning a few times because of this tampering with this other aeroplane on a flight to New York. They've confiscated loads of his gear but I think this I think highlights a very important point which is why are aircraft entertainment systems still in connection with the rest of the aircraft's computer system. Shouldn't they automatically be ring-fenced from each other? I mean, it's frightening, isn't it? Richard - It does seem absolutely extraordinary that they're not too completely separate systems. They're not designed separately. They've evolved separately, but to coordinate them altogether seems just incredible to me. Do you wonder though about the ethics of this, the ethics of telling people or making this sort of information public? It's the same ethics I suppose, the people who put, "This is how to make a bomb or this is how to "do this..." I do wonder about that. Chris - Well, I don't think he's going out there putting a "How-to guide" on the internet. I think what he's saying is, "I've gone to the authorities and said I think this is a very big vulnerability. If I can sit in an aeroplane seat A3 on this flight from Chicago to New York and I manage to access the engine management system, so could anybody." How do we know that people haven't? we've had these aeroplanes disappear. I mean, this Malaysia Airlines flight that disappeared, no one has located it yet. Could this be a victim of something like this? We know something nefarious happened. Kat - It's very, very weird. I think that it's important. I mean, clearly, he's not really got anywhere so he's blowing the whistle and saying, "They're not taking this seriously." I do find it worrying that their answer is to just confiscate stuff and slam him in for questioning. Chris - Yeah. I mean, there are lots of comments on the website fora I had a look at. I was just interested in what other people's opinion were of this because the people I thought might have the same opinion you do Richard, we shouldn't be doing this. Why are people hacking into things? this is bad. But actually, lots of people are saying what Kat's saying that in fact, if it wasn't for people going out there and highlighting these vulnerabilities and making them public, it certainly makes people do something about them quick because at the end of the day, he's saying that Boeing and Airbus aeroplanes - and there's quite a few of them - are vulnerable. There's quite a few of them in the air. So therefore, if he's capable of doing it, lots of other people will be. Richard - I wonder if this is as a result of the way the technology has evolved. If someone set out to make an aircraft today, they wouldn't do something like this. But entertainment systems have evolved. They probably became a bolt on to the main system. There's probably some power linking there, it's probably the way the whole power of the aircraft is controlled, something like that. Chris - It's just the security because James Lyne who works for the company Sophos. We had him on this programme last September and he said to me, "I've just bought myself a sort of meat cooker," one of these slow cookers that you can plug in. He said, "Like all modern gadgetry, it's part of the internet of things. it's on the internet. So, I can dial in from work and I can activate my slow cooker. So being the security online specialist that he is, he thought, well, I wonder if they've been sloppy with their security. I wonder if I can identify a lot of these online cookers and therefore, can I manipulate them? He found absolutely, they hadn't changed the admin password, it was a default system. It's a default log in, with the default password. He said, "I was able to find loads and loads of people who have all these cookers." He said, "If I wanted to, I could go into their kitchen online and I could ruin their dinner for them." 15:55 - Can satellites collide? Richard - There are actually hundreds of thousands of these objects in space. There are an estimated half a million pieces of what's called space debris, particularly in low Earth orbits - that's where an awful lot of the satellites are. Not the communication satellites. So, not the satellites we use for broadcast or for pinging mobile phone calls around the world, but the sort of satellites that maybe observe the Earth, the sort of satellites, particularly scientific satellites and spacecraft with humans in them. So, the International Space Station for instance is in this particular orbit. Now, these half a million objects vary from flecks of paint - and these can cause severe damage. 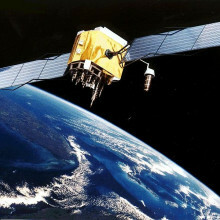 Imagine stuff that's pinging around the Earth at almost 8 metres per second! So, you got all these stuff pinging around the Earth. The biggest stuff is about 20,000 pieces of space debris and this is tracked by the US. It's tracked here in the UK by the RAF using radar. So, they know where all the stuff is. It sounds like a lot but the Earth is pretty big. Now obviously, you don't want to hit one of these when you're launching a satellite. So, they launch into orbits where there isn't the stuff. So, they're tracking the stuff continuously. They don't know where the flecks of paint are. You've got pretty good odds that you're not going to hit a fleck of paint. So, they do launch into orbit. They're very careful where they launch. They don't want to launch into the orbit of say MVSat which is a big redundant - it suddenly went dead a couple of years ago - European satellite, the size of a double-decker bus. You don't want to put your satellite in the same orbit as that. Kat - So, when you're planning an orbit for satellite, it's basically about how fast and exactly the sort of the angle you shoot it up over the Earth at? Richard - You work all that stuff out. What's also interesting - so, that's into low Earth orbit - is if you are launching say, a telecommunication satellite. Now, these sit in what are called geostationary orbits. So essentially, they orbit the Earth as the same speed the Earth rotates. So, they sit above the same part of the Earth all the time. Sky TV for instance has one above Europe right now beaming down to people's satellite dishes on the sides of their house. Kat - Other channels are available. Richard - Other channels are available, but if you want, okay, sport on the BBC. If you watch that from around the world, that'll come via satellite. They actually have to navigate their way through this space debris and not only the satellites that are orbiting. They actually plan and sometimes they have to divert their course. So, imagine crossing the road, they're having to weave between the traffic to get up to this high orbit. So, these are all things they take into account. Kat - It sounds like a stellar version of Frogger! 18:46 - Why do we get relief from crying? Why do we get relief from crying? Max - Well, yes. It's really interesting actually. Crying as it's found in humans is actually exclusively only found in humans. So, that's crying with what are known as emotional tears. Other animals have functional tears that lubricate the eye and stuff, but in humans, it has evolved sort of exclusively as far as we know. It's sort of a communication thing when we began to form societies. Without language, it was hard to sort of express your inner emotions. 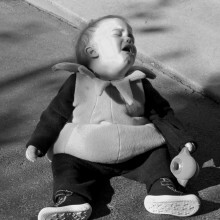 You only need to look at a crying baby or an infant to see the power of crying and in that communicative sense. So, it sort of attracts aid whether emotional, physical or medical. I think it's become more than that now. It's not just about sort of pain or anything, It's deep seated with our emotions. So, whether or not you can sort of hold it back I think is more to do with how sort of strong the emotion is as to a natural sort of neurophysiological thing but somewhere along the way, our sort of limbic system has gained control over our tear glands, the lacrimal glands. And so, now that you have this sort of - when one can activate the other. But I think the important part of the question is the relief aspect. Kat - Yeah. Why does a good cry feel so good? Max - I mean, we've known for centuries the sort of benefits of a good cry. There wasn't much I could find on this. There was our very own study that talked about the excretion of cortisol through tears but that since been discredited. Kat - Yeah, it's a bit ropy I reckon. Chris - Is there evidence that you can manipulate your partner's mood through things being exuded in tears? There was a study on lady's tears manipulating men's moods. Max - Yeah, so it was basically that. Kat - I just cry and they just buy me things. Max - Well, it's actually the opposite. That study was actually the opposite and it showed the men were found to be less attracted to women when they had women's tears. I think it was women in photos and they were given that tears and they found them less attractive. Chris - Just think what they buy you if you didn't cry. Max - Exactly, but I think that's sort of why - obviously now, standard answer as generally in neuroscience is sort of hypothesis. So, I've come up with one of my own and that's from an unlikely source as to why we might feel relief from crying. It's from laughter. It's a similar thing to sort of laughter. Again, laughter is unique in humans. It's marvellously effective at communicating our inner sort of emotions and also, acting as a social lubricant. A really fascinating paper by Professor Robin Dunbar, he showed that laughing could actually increase our pain threshold and he talked about endorphins which are our sort of body's own pain killers and he talked about how the act of laughing which in itself is quite physical strenuous could lead to the release of these endorphins sort of similar to after exercising and thus, make us feel good. I think crying in some sense, it could be applied to that as well - the release of these endorphins. That sort of got me thinking about when we're younger, when we're children and infants, we cry because of pain. Kat - And it might be making us feel better you reckon? Max - Yeah and so, because we've sort of conditioned this crying to be associated with pain, generally, when our body is in pain, we up our endorphin release. And so, maybe into adult life when one would hope that crying from pain is less so that maybe that's sort of a conditioned response. Kat - Ahhh the Max Sanderson theory... we should do some research. The Soviets were the first to send a man into space, so why are so many Russian spacecraft failing since? Richard - So, the story that particularly interests me is this Russian rocket. You may have missed this. It was only on the news yesterday. You probably had better things to do. A Russian rocket carrying a satellite burnt up over Siberia. Now, this is interesting because it's another Russian rocket failure. This is a proton rocket. It was carrying a Mexican satellite. Now, rockets fail. It's really difficult to build a rocket and launch it successfully into orbit. But Russian rockets fail an awful lot and have been failing an awful lot, particularly over the last 6 years. There've been 13 failures, 3 partial failures and 20 spacecraft lost, which compares to the European Ariane rocket where they've had no failures, and the Americans who launch an awful lot more and they've just had 3 failures. Now, this matters because we have a lot of European satellites, a lot of worldwide satellites launched on these Russian rockets. Richard - So, for example, the European Exo-Mars mission which is due to launch in January 2016, that is scheduled to fly on a proton rocket. So, it's not looking good. They have some serious quality control issues and exactly a year to the day where this latest proton failed, another proton had failed. Kat - Do they know what's going on with them? Is it the same failures? Max - There are lots of little quality control issues usually in the upper stages. So, a rocket has multiple stages. It has the big bit at the bottom and in fact, the proton is an enormous rocket. It has these strap-on boosters around the bottom. So, it's like a firework with lots of little fireworks stuck around the bottom. So, that launches off and then the first section drops away and you're onto the second stage and the third stage which takes it up to the exact orbit. I think with this one, it looks like there's a problem with either the 2nd stage or the 3rd stage. It went up and just came back down again, like a missile. But it's such a shame. 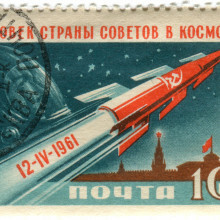 Russia led the world in rocketry. I mean, they were the first to put a man in space. They were first to put a satellite in space. They're essentially using the same technology. There seems to be an issue with transferring that knowledge from the older generation who started this, who built these amazing machines, to a younger generation. We should be worried if we want the latest telecommunications satellites, we should be worried if we want a mission to Mars - that there's not the quality in rockets that there was. Kat - Let's hope they fix that! 25:09 - Why does some rain smell? Why does some rain smell? Chris - It's got this fancy name petrichor because petros in Greek means rocky and chor of course means smells. The bottom line here is that no one knows exactly what it is, but a lady in the 1970s, her name is Nancy Gerber, she actually did some chemical experiments and made some measurements. She found there were several chemicals. Some of which coincide with a soil bug called actinomycetes. These filamentous bugs live in the soil and grow throughout the soil. They break down various detritus and things that's in the soil and a product of their metabolism, a bit like sort microbial pooh if you like, are these chemicals. When the raindrops come down, they splat into the ground and they elevate particles of these microorganisms and their by-products and their metabolic waste into the air and it happens to have this kind of smell. One name that's given to it is geosmin for one of the chemicals that's up there. it's nice, isn't it? But interestingly, there was another paper that came out from MIT earlier this year. Caulin Buwy and his colleagues actually said, "Well, it's all very well, raindrops splatter on the ground and they release these particles from the ground. But how do they do it? That was their question. They did some beautiful photography where they used a very fast camera of raindrops splatting down against the ground. If you look carefully, very, very detailed picture of these raindrops landing, what you see are almost like bubbles of champagne coming up through a champagne glass, coming up in the raindrop. What they speculate is that as the drop hits the ground, it compresses and captures a little bleb of particulate matter and air - some bubbles - as it lands. And that stuff then has to come bubbling up through the liquid. As it does so, it carries with it some of these particles which are in the soil and they get aerosolised or distributed out into the air and then you can smell them. Kat - But this doesn't happen all the time. so presumably, it's when the conditions are just at the right weight of rain and the right kind of soil. Chris - If you've had relentless rain day after, after day, after day, then it's damped down all the particles probably anyway. They've all been washed away or everything that's been thrown up into the air is there and you're already used to the smell because there's also this whole question if you adapt to the presence of a smell. You must've noticed you go around someone's house, you think, "God! It's a bit whiffy in here" especially around your house. After about 5 minutes, you start noticing the smell and that's because you have adapted. Your nose as learned that that smell is always there. so, when you notice this most is when it hasn't been present. So if you had a long profound pronounced dry spell, lots of the stuff is in dry soil, easy to release into the air, comes down, splat up into the air, you breath it and then you really notice. And that's what we think geosmin is. 28:06 - How can genetics inform us about skincare? How can genetics inform us about skincare? Kat - Now, I was intrigued by this so I went to look it up and it's a company called Geneu. This is actually a spinout from Imperial College. This is researchers who've developed a very, very tiny DNA analyser. They call it their lab on a chip. Now, they didn't just do this to look at skin care. They actually did it just as a more general way of developing something very small that could analyse DNA. Now, this isn't the kind of DNA analyses where you're looking at lots and lots of genes. They're just looking at variations in just a couple of genes and geneticists call these SNPs or single nucleotide polymorphisms. In the kind of genetic variation that makes us all unique, some of more unique than others. So, they're looking at a couple of these SNPs, these variations that have been linked to things like collagen in the skin, the amount of collagen you have and all these kind of thing. and then they go, "Tada! We go this, and this, and this and look at this." And so, you have this wonderful serum matched to your SNPs that relate to your skin. Now, that's all kind of interesting, but to me, I think that the data is somewhat lacking. I've done a bit of looking into this. Certainly, evidence that the SNPs that affects things to do with your skin and then linking that to the effects of a specific skin care regime I think is somewhat lacking at the moment. Although I don't want to be too down on it because it's really cool technology. The lab on a chip stuff is very cool and the guy who invented it, this professor at Imperial said it's a good way to get people to start interacting with their genomes, with their genetics. But to be honest, when it comes to skin care, I think it's probably - there's more influence of lifestyle, things like not smoking, taking care in the sun. Chris - Yeah, because smoking has a really profound ageing effect, doesn't it? Kat - I think much more so than any influence of your genes I reckon. 30:04 - How do people shower in the space station? How do people shower in the space station? We put Mark's question to Space Boffin Richard Hollingham... Chris - There's a phone call here from Mark. Hello, Mark. Mark - Hello, Chris. Hello, Kat. Mark - How are you doing? Alright? Kat - Yeah, what have you got for us? Mark - Right, it's for the zero gravity man. Richard - I've never been described as that before. Chris - Richard, do you have no gravity? Richard - That would be so cool. Mark - Very quickly, I'm always interested in general running of life on a space station, working in a zero gravity environment. But obviously, they have to work quite hard and I imagine at the end of the day, they would need to clean themselves. Do they have a shower? I can't envisage a bath full of water, flopping about. So, how do they do that? Richard - Imagine you're living for 6 months in an area that's - I don't know - not much, but in total the area is about the size of a football pitch but it's lots of individual capsules with 6 other people with no shower because there is no shower in the international space station! They clean themselves with cloths, a bit like dish clothes. In fact, they have. Kat - Like wet wipes kind of thing. Richard - Sort of like wet wipes. Kat - This is what I do at music festivals. You kind of just wipe down with a wet wipe. Richard - Yeah, but for 6 months? They have a ration of these and they have to exercise every day so they are sweating a lot. This sweat does not go to waste on the International Space Station. So, they recycle urine into drinking water. Kat - That sounds terrible. Richard - They also recycle sweat into drinking water in the International Space Station. 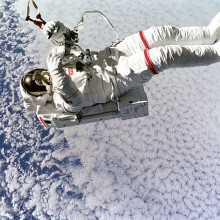 Actually, because you're in this microgravity environment, because effectively, there is no gravity, I was talking to Chris Hatfield, the Canadian astronaut about this and he said, there's very awkward moments that he's exercising, raising weights, so sweat coming off him and other astronauts get splatted by his sweat. So, you're walking down the corridor, you got this big globule of someone else's sweat but yes, it's not pleasant. So, we talked to some of the space tourists. They're a bit more open about what it's actually like. Apparently, the toilet on the space station is horrible, really horrible. The atmosphere on the space station. Kat - You never see any of this on Star Trek or anything, do you? Richard - You don't. The atmosphere. Chris - Look what Spock found in the Enterprise toilet, Captain's log. Richard - It's not. Men's locker room, that's what one space tourist described it as, Smelling like a men's locker room because they don't shower. Skylab which was the 1970s space station, around 1974, '75, something like that, that did have a shower. So, if you look back images of people in space, you often see astronauts in the sort of bag, almost like a sleeping bag they sort of assemble around with a shower hose. So, they did have a shower on a 1970s space station but not right now - 6 people in orbit, no shower. Kat - That will smell like a music festival very quickly. 33:11 - How does colour affect food? 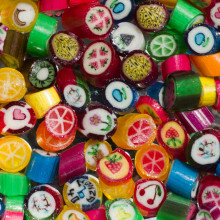 How does colour affect food? Kat - Why do we not want to eat blue peas or something? What do you reckon, Max? Max - Well, the whole blue thing, actually, I was doing a bit of reading about that and the argument was that there's nothing blue that occurs in nature and therefore, people don't want to eat blue food substances. But I think when Skittles or Smarties came out with the blue sweet and fun, it was actually popular. So, I don't think it's as much the colour in itself, but it's the association that we give between the colour and the food. And so, sort of taste and flavours often being - you know, if you think about the two senses that immediately spring to mind, they're sort of taste and smell. And so, people are realising that the perception of flavour is sort of more multi-sensory they may have thought and obviously, vision is one of those things. Colour back in the day would've led us to a poisonous berry or the ripeness of a fruit or the safety of an old piece of meat. But, I think when it comes to sort of associations, we want something to taste how we expect it to, based on vision. And so, like you're saying, why someone want to eat a blue pea, in the 1970s, they did a quite famous and actually, quite cruel study where they brought in subjects to eat French fries and steak and they appeared normal, but actually, they were sort of special engineered lights to make them look normal. And actually, halfway through the meal, after all the subjects have said they're having a rather nice time, they sort of turn on the normal lights to reveal that the steak was actually blue and the French fries were green. Upon doing that, apparently, some people ran to the toilet and got sick. And so I think, when it comes to colour and food, it's the association. So, there've been lots of studies where they sort of take a cherry flavoured drink, they dye it orange and people sort of taste an orange flavoured drink. Wine sommeliers, they managed to trick them into sort of thinking that a white wine was red. Chris - That's quite common isn't it, Max when that happens because there's quite an easy experiment you can do where you just pour two glasses of white wine or whatever and you tell people that one is red and one is white and kind of tell the difference. They're identical and they all fall for it. Max - Yeah and I mean, it's one thing doing it to your mate on a Friday night, but the fact that they've managed to do it to wine sommeliers was quite an interesting one. They also even found that the way that they described two white wines was dependent on the sort of lighting of the room. And so, I think colour in food is very important because it sort of gives us these associations and we expect something to taste how it looks and the fact that when you sort of trick these associations, you see how important they are. And I think even the packaging has been shown to, so I mean, this is something people could try at home if you put some salt and vinegar crisps in a cheese and onion packet and give it to a mate or give it to mum or dad and see if they manage to pick up on it. But studies have shown that just by changing the packaging, you can actually change the flavour somewhat. Chris - Well, they did make stale food taste fresh by putting headphones on people, feeding them off crisps, the crisps that have gone all soft and playing the crunching noises when the people were eating the stale crisps and they thought they were fresh because your brain sort of integrates the crinkly-ness. That's why the packets are sort of crinkly and so those packets of crisps when you open them, they make loads of noise because when you make that nice crinkly noise, it's a sort of an association your brain makes. Fresh things tend to be ripe and turgid, and sort of crunchy. And therefore, your brains says, "Ah! It must be fresh." And so, it sort of transfers and makes the food taste fresher than perhaps it is. Max - Yeah. I mean apparently, a lot of these sort of food companies have sound engineering departments who actually try and sort of design ways to make food sound even nicer in the same way that people will do the same with packaging and drinks and so, I think it's something the food industry is also aware of. So, word of warning, we are all being exploited every single day by the food industry because they've sort of tapped into our brain. 37:08 - Does a fever raise temperature equally? 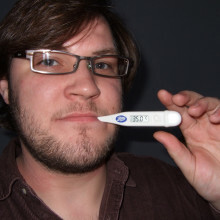 Does a fever raise temperature equally? We put Joe's question to Chris Smith... Chris - Well, first of all, why do you run a fever? You run a fever because some chemical is being produced in your body that triggers your brain's temperature regulating centre called your hypothalamus to turn up the thermostat. Why does this happen? Well, it can happen usually because you have an infection. When microorganisms cause inflammation, they damage tissues. They release various inflammatory chemicals and also, particles from the surfaces of the microorganism, the bacteria for instance have chemicals called lipopolysaccharide, LPS, which is part of the wall of the bacterium. This triggers your hypothalamus to sense that there is an infection and it turns up the set point for your body temperature and this triggers the release of more thyroxin which increases your metabolic rate and that makes you hotter, more adrenalin which increases your metabolic rate and that makes you hotter, it vasoconstricts you so you move blood more towards the centre of your body, slowing down the rate at which you lose heat, and that puts your temperature up. There are other reasons why you might run a temperature, but those are the most common reasons. That means that your core body temperature will go up and usually, it can go up from a normal of about 37 degrees to perhaps 40. The highest ever recorded temperature in a human being actually was 45 degrees and they survived. It was pretty impressive. But most people don't go much beyond 40. The body does this because when you increase temperature, you make it harder for infecting microorganisms to grow. you make it easier for your white blood cells to move around, and you therefore frustrate the bug and benefit the body. So, it's a sort of defensive mechanism but it won't happen equally everywhere for the simple reason that you're shunting blood towards your core so the core will be warmer, but your peripheries may actually be shut down and cooler. But there will be a global increase in body temperature right across your body when you're running a temperature. So, if you put your hand on someone's forehead, yes, it's going to feel warmer. But the best way of measuring temperature to get the core temperature and that's the thermometer actually in your bottom. 39:17 - Why do humans feel pain? Max: - So, the news piece I read was in the great New Scientist and it was by someone called Professor Barbara Finley and she was putting forward the argument as to why humans compared to our primate cousins appear to have a heightened sense of pain. So, in evolutionary terms, pain is obviously very important to protect us from further damage and condition us to avoid certain situations, and also make other individuals aware that we need assistance. It's this, that she sort of focused on and she talked about how her time in the field were spent around quite a lot of primates and she was also a bit baffled as to, these monkeys who'd have caesarean sections and then within hours were sort of sitting up and climbing and playing. Having had two C-sections herself, it got her thinking that maybe humans unlike our monkey relatives have sort of evolved a mechanism whereby certain things such as giving birth, are deemed more painful for beneficial reasons. And so, she argued that these sort of heightened pain responses give us a sort of distinct advantage as humans that elicits a response from others, it means they'll come and give us assistance. So, giving birth to a child in humans can be very, very dangerous and so by heightening our levels or our perceptions of pain on the whole, it means that we demand to either have a midwife or a family member there and it means that hopefully, the mother and the child both have bigger chance of surviving. I just thought it was fascinating. Anything to do with pain, I'm generally quite - I mean study of pain. Not pain in itself, the study of pain. Chris: - Come on Max, be honest. When we were chatting about this early, you said you're quite into pain. And then you sort of said, "Maybe I should rephrase that." Max: - I can't believe I did it again I sort of made a note not to say that, but no, I'm into the study of pain.. it's a hugely fascinating thing because pain in itself is something that's completely created by our brain. Yes, there can be damage to a hand that you put on a hot stove in that sense, so it signals to the brain... but the pain in itself is something that we create as a reaction to that damage and so, it's highly sort of subjective. Chris: - I did interview a chap. It was a little while ago now, but Jeff Woods who's a researcher in Cambridge and he published a paper describing the genetic reason why there are certain families of people who live - I think these ones lived in Pakistan and Bangladesh - who are incapable of feeling pain. They lack a gene which normally would be used by the pain system in the body to trigger nerve impulses and these people don't have those receptors on their nerves. So, they can't trigger these pain responses and so they can do horrible things to themselves, and they frequently do, and they don't feel a thing. Isn't that awful? Max: - Yeah and that's the sort of nociceptors. It can be quite dangerous though because it means it doesn't give themselves time to heal. Kat: - Thanks very much. That's absolutely fascinating. You are listening to the Naked Scientists Q&A Special with me, Kat Arney. 42:08 - How does space travel affect the human body? Richard - Can I quote some Star Trek to you? Leonard "Bones" McCoy, I love this, "Space is disease and danger, wrapped in darkness and silence." It's horrible. It's really horrible. So, let's get to space first of all. Getting to space, you've got to overcome gravity and the G-force is pushing on your body. There's a James Bond film where he goes spinning around and it must be Moonraker where he spins around on the centrifuge. Chris - Have you been in one of those? Richard - I have been in one of those. Horrible. I was rubbish. I was absolutely. Chris - How many Gs did you pull? Richard - I think I only managed about 3. Chris - How many would a real-life astronaut? Richard - A real astronaut actually, probably with most spacecraft - now, you're looking at 3 or about 4 or something like that. If the Soyuz - so, we talked a little bit about Russian rockets going wrong - if the Russian rocket goes wrong, the Soyuz they use, the escape system essentially will ping it off in a trajectory and then you are heading towards almost 10G, something like that. It's really nasty. Chris - Is that survivable? Richard - Yes-ish. It is survivable for a fully trained astronaut, absolutely. There's no problem at all. Chris - What do they do to people then to train them, to stand that? Richard - Well, they spin around in a lot of centrifuges. It's also about the way. Chris - If you survive then you're destined to be an astronaut. If you die in the process, you're probably not going to make it. Richard - The main reason - yeah, 10G is absolutely horrible but the way a spacecraft is designed, you'll always see them lying on their backs. The reason for that is because the force will go through their chest. So, it won't go from head to toe. Kat - So, it's not compressing your spine down where it's kind of squashing you. Richard - Not doing anything like that, not hitting your head. It's deliberately designed to go through your chest. Obviously, the way the suits are designed are designed to pull these sorts of G-forces. Actually, the centrifuge I went in which is an ancient centrifuge at Farnborough in southern England, it has actually designed to go up to 18G. Kat - Okay, so we go to space, you've withstood the Gs. What's up there? Richard - The next short term problem is nausea. Almost all astronauts - however well experienced, however well-conditioned, however many times they've done parabolic flights and what's called the vomit comet which are these planes that goes in this parabolic trajectories around - they get sick. The Soyuz spacecraft which is the only one you can use to get to and from space right now, it rotates slowly. So, you got a window there. So, you're in the spacecraft that you're suddenly feeling weightless, but also, the spacecraft around you is rotating. So, you can't even look. You know, they always say if you're on a roundabout or something. Kat - I get so badly travel sick. I'm actually feeling you. I've been sea sick on a pedalo. I get really sick. Richard - They say if you feel ill, you don't look out the side you look at the front. But imagine that this thing is spinning. So, imagine your car that's spinning as well. So, that's that. 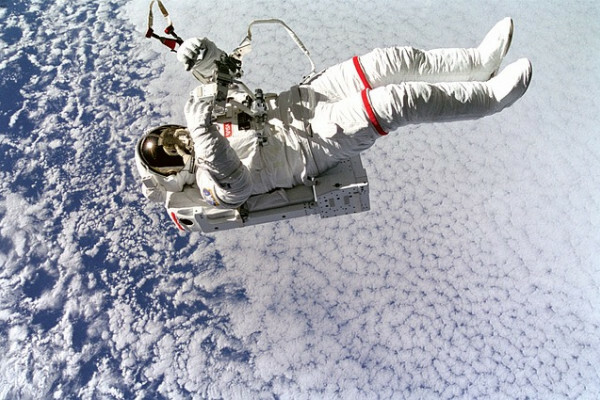 Once you're in space, the other thing that happens is your fluids tend to move around your body. You're not subjected to gravity and they tend to swell in your head. So, astronauts really do have big heads. So fluids tend to pool in your head. So, you get this feeling of permanent head cold in space. More serious are things like muscle loss and bone loss. Again, it's down to gravity. Kat - So, this is when you're in the zero G environment for a long time? Richard - Yeah. When you're in this microgravity environment, you've got loss of bone, loss of muscle, which is why astronauts have to exercise. I mean, they had to have a serious amount of exercise. Kat - You've got to get some impact going on your muscles. Kat - Aw, they're sending them chocolate and stuff? Kat - You're got to go and clean up the urine thing. Richard - Exactly, yeah. It is that sort of thing. "Go clean the toilets." Chris - Sounds like what I do with my kids. Kat - "Then I'll give you some chocolate." Richard - They're looking at this because if you're going to go to Mars, we're looking at, at least a 2-year mission there and back. So, they're looking at, "if you vacuum and you're don't get any reward. How do you feel? If you vacuum and you get a nice chocolate pudding." They love the chocolate puddings. Chris - But it looks really nice - that's your reward. Look you've made a good job on that. Everyone gives you positive feedback. Kat - No, I want chocolate basically. Richard - No one thinks that, Chris. Kat - I think for me, my biggest issue with it would be cooped up with that many people. I mean, I get travel sick, I'd have to contend with that. I would just want to kill people basically. Chris - Well Kat, the feeling might be mutual. Kat - I've been in the studio with you guys for an hour and I am kind of ready to kill right now. Richard - Well, you have got the view. I mean, there are lots of compensations of being in space. You can look out at the Earth below. It's the best view in the world. Chris - But not in the world! Richard - Well, the best view of the world. So, there are also some fantastic compensations. Kat - Would you want to go into space? Richard - I would like to be in space. I don't want to get there. I think the getting there, having been on the centrifuge, having sat inside a Soyuz simulator, having felt - because how cramped. It's the claustrophobia that's an issue, but obviously, they don't select astronauts with claustrophobia. That's a fairly fundamental thing. But wouldn't that be amazing to sit inside the International Space Station and look out to that amazing, almost like bay window, on the world? Kat - How about you, Chris? Chris - I think I'm with Richard. I'm scared about the journey. I'd quite like to have the experience but I don't think I'd like the health consequences, now I know what they are. Thanks, Richard. Kat - Very briefly Max, space or not? Max - Yeah, I agree. Getting there wouldn't be very good. It took me about 19 years to pluck up the courage to go on roller coaster. So, I'm not sure how I would handle it. 49:13 - Can I predict the future? Kat - So Max, we have another question here for you from Paige Russell who says, "Lately, I've been getting a strong feeling when I think something specific is going to happen. Some things are small and irrelevant and some things are very overwhelming. For example, I was doing my hair for school one morning, I had a feeling my best friend was going to do the exact same hairstyle and she did." Is this normal? Can Paige predict the future? What do you reckon? Max - Well, whilst I'd never want to sort of disprove Paige's ability to predict the future. What I think is going on is a sort of classic psychology cognitive bias which is called confirmation bias. This is a tendency of people to actively seek out and assign more weight to evidence that confirms a belief or a hypothesis they have and ignore underway those that evidence that sort of doesn't fit their hypothesis or their beliefs. In essence, that means we choose to believe things that are in agreement with our own beliefs. Importantly, that is the interpretation of information, but also, in this case, the recall of memories. So, the sort of strong feeling she speaks of would only become strong once the feeling has been confirmed. So, in a sense, it becomes true. So, the friend doing the same hairstyle on that day, the memory of having that feeling would become stronger because it actually happened in the same way that on the same day, she may have predicted something else like scoring a goal in some sort of match and because that didn't happen, she just sort of forgot about it. It's something actually that psychics take advantage of when they're giving out readings and by giving sort of largely ambiguous statements. The psychic can let confirmation bias do the rest as clients can sort of pick and choose those that apply to their own life. Chris - Did we talk about deja-vu yet in the programme? Kat - I am sure we have had this one (question) already! 50:58 - How should we collaborate on space projects? How should we collaborate on space projects? Richard - Well, it all comes down to money essentially. 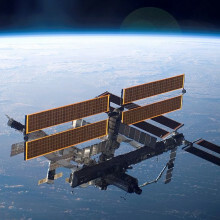 The classic experiment really with international cooperation in space is the International Space Station. That costs an estimated - it's really difficult to get a number - but 100 billion US dollars. It is the most expensive machine we have ever built as humans. The only way you can do something like that, although it has evolved, is in cooperation. What's extraordinary despite the geopolitical problems on Earth between the United States and Russia for instance, Europe and Russia for instance, in space everyone is cooperating. There was even when I was at the last launch I went to, I do with the launch commentaries for rockets particularly from Russia. Kat - So cool. Richard - It is really cool. This is in Russia mission control. There was this rather nauseating group hug between the heads of the Russian and the American, and the European space agencies. This is a true cooperation in space. So, it's extraordinary. It does all really come down to the money. I mean, even within Europe say, for example, the Rosetta, this amazing spacecraft that's landed the PHILAE lander on a comet. It is an extraordinary thing to do. That costs 1.4 billion euros. I mean, that's actually not very much money for doing something remarkable. But that's all European nations in cooperation. Now, we know European nations are not great at cooperating with each other all the time. We know scientists are not always great at cooperating with each other all the time. But to do something like this, the only way to do it is to pool money in from various places. So, there's an awful lot of cooperation. There's cooperation between Europe and Russia, with the new Exo-Mars project. So, the only way Europe could get enough money, to get a rover on Mars was to go in with the Russians who'll provide the launchers for this project. There's a lot of cooperation between Europe and China. What there isn't is cooperation between the United States and China. So, what we could have in a few years' time or a few decades time is a European astronaut - for example, the British astronaut Tim Peake on a Chinese space station or even a Chinese moon base but no American involvement. So, that's the only sticking point really. But yeah, to do it, you have to cooperate. Kat - That sounds like the plot of a James Bond film right there. 53:32 - How do Davy's miners' safety lamps work? 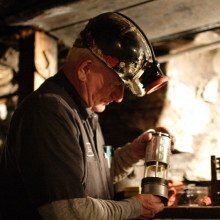 How do Davy's miners' safety lamps work? Kat - Using a metal sieve, not a plastic sieve! Chris - Don't use a plastic one! That won't work. Well, it will work, but not the way we anticipate. Chris - But, if you put that over the flame, what you'll see is that where the metal goes across the flame, the flame stops at the metal. And through the metal will come smoke and carbon particles. But it won't burn on the other side of the metal. The reason for this is that metal is a very good conductor of heat. It robs all of the hot gases, which are mixing with oxygen and reacting, of the energy which enables the chemical reaction to be sustained, which means that the gas is going through the sieve; add an insufficient temperature on the other side to continue the reaction and burn. And therefore, there is direct air contact with the flame and the fire damp will go into the lamp, but it won't be able to trigger an explosion outside the lamp. Previous eLife episode 20: Do newborns feel pain?